Submitted by Calcutta Music on Tue, 06/02/2009 - 17:37. 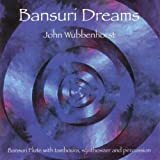 The songs in the wonderful album "Folk Music Of Pakistan" are an eclectic selection from ancient India, Pakistan and Afghanistan Folk traditions.The album includes a Bhawaiya song from Bengal as well, assumedly because Bangladesh was a part of Pakistan when this album was originally published. Submitted by Calcutta Music on Tue, 06/02/2009 - 16:14. Sell your songs and albums through our revolutionary Bengali Global Digital Distribution Service & Online Store - visit our web-site and use the Contact form to reach us. Listen free to online samples & download MP3 tracks from our partner WBRi Songs CD Sales Online Store. Submitted by Calcutta Music on Tue, 06/02/2009 - 13:10. Listen to free samples & download MP3 songs from WBRi CD MP3 Digital Download Store. 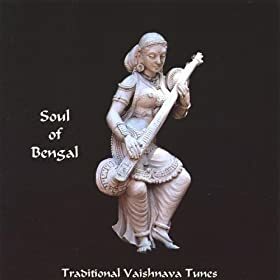 Bangla Baul Folk & Tribal Songs Of Bengal - A Guide by Gopal Bandopadhyay | Nimai Sanyas, Prabhati, Poush Parbon, Dehatatwa etc. Submitted by WBRi on Sun, 05/03/2009 - 19:05. The multitude of genres and sub-genres of Bengali Baul / Folk / Tribal music are defined and discussed. Listen to online songs of many types and subtypes of Bangla Folk & Tribal performed by Mr Gopal Bandopadhyay for WBRi. 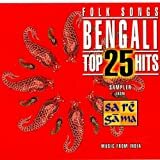 The following article is a rough guide to the various folk musicals forms of West Bengal, India. This article is penned by Shri Gopal Bandopadhyay. 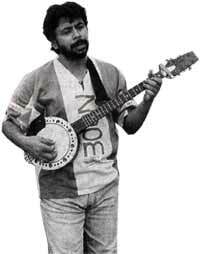 We have previously featured Mr Gopal Banerjee where he has briefly written about Bengali Folk tradiitons and you can watch Mr Banerjee live in concert - click here. These songs revolve around the concept of opting for the lifestyle of an ascetic by Nimai and thereby leaving his Grihasthya or family life. These songs were composed on the basis of the pitiful appeal by his wife Bishnupriya and his sorrowful mother Sachimata. Submitted by Calcutta Music on Wed, 04/29/2009 - 21:14. Submitted by Calcutta Music on Wed, 04/29/2009 - 14:46. Submitted by Calcutta Music on Wed, 04/29/2009 - 14:02. Original Olympic LP Record. Folk traditional.